This just might be the "holy grail" of Rubik's Cube magic. This unbelievable shell fits over a Rubik's Cube and locks into place, so even a spectator can hold it. Then (and this is the part that is hard to believe), you can twist the cube with the shell on it. How does it work? You need to see it to believe it. Henry Harrius brought us "Rubik's Dream," the hit sensation Rubik's Cube trick from 2017. 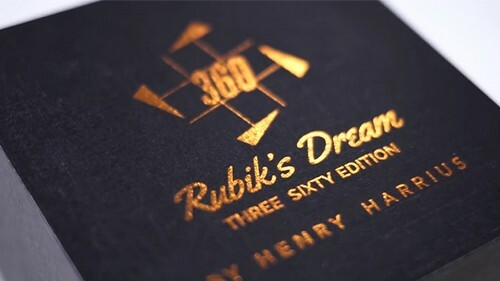 This new shell, Rubik's Dream - Three Sixty Edition, is the perfect companion to the original, but allows you to do many new and exciting things. The tutorial is 70 minutes long and features 8 new routines, including the Akira Solve, which is visual madness. 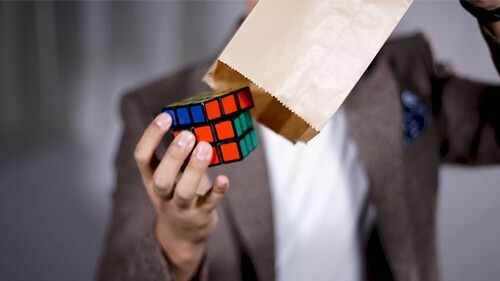 From this shell alone, you can construct the perfect routine: the spectator mixes a cube, you place it in a paper sack, and then the SPECTATOR removes the cube... solved. The bag is empty, everything is clean. MIRACLE!